Tucson Workshops Still Have Openings! Mon., July 8 - Tues., July 9. 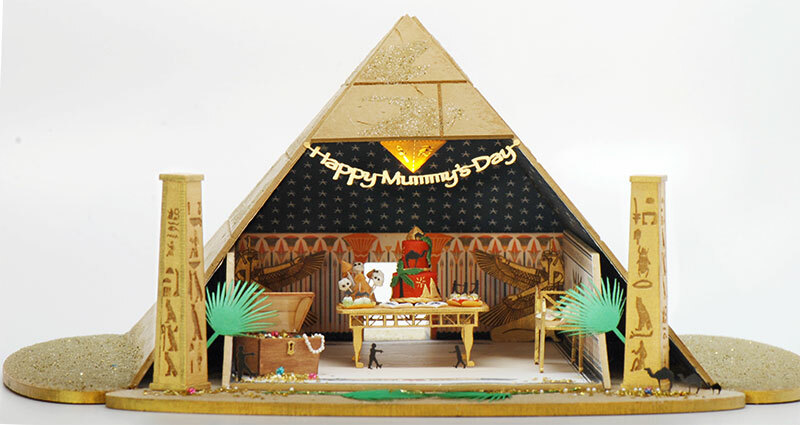 This is not your typical Egyptian pyramid; it’s a Mummy’s Day party complete with tiny treats! 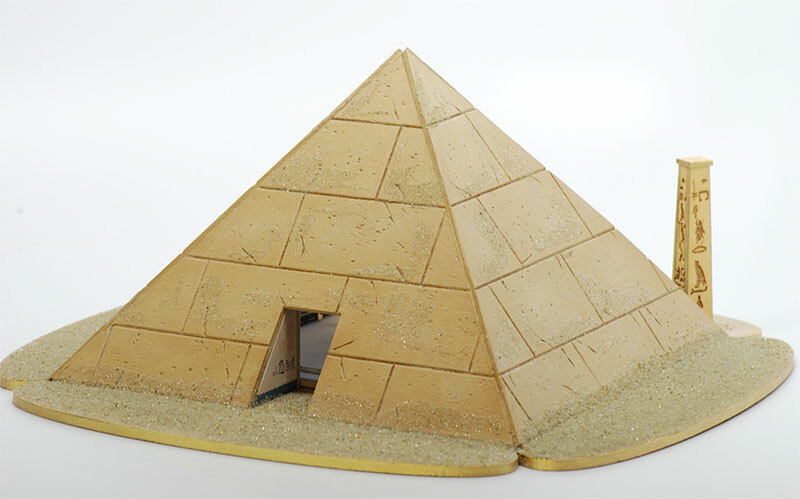 On Monday, students will build a 1:48 scale pyramid, age, and apply a “magical mummy mixture” to the exterior, construct the Egyptian style furnishings, electrify the room with a battery-powered LED, and apply the wall, ceiling and floor designs. 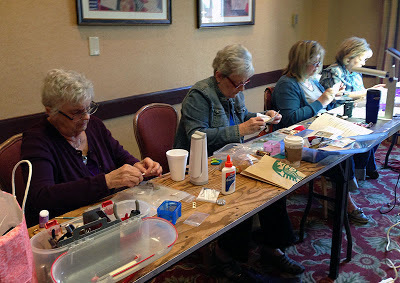 Students will learn different aging and finishing techniques. 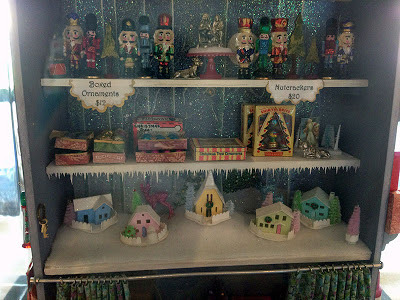 On Tuesday, students will create quarter scale treats with Ruth Stewart. She will teach polymer clay blending techniques as students make cake pops in pyramid and mummy shapes, create a cake decorated with Egyptian motifs, and tiny cupcakes with a mold that will be yours to keep. A menagerie of tiny laser cut mummies and camels will be provided to decorate the scene. Contact Carol for registration info. 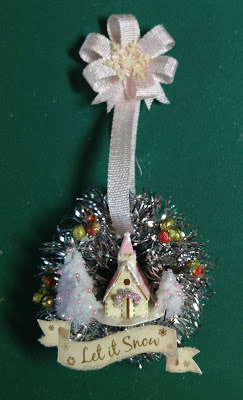 A quick and easy technique for finishing the exterior will be taught. Students will create Egyptian-inspired treats in quarter scale with Ruth Stewart. Wed., July 10. Create an all-white, snowy, village scene on a beautiful, 1” scale fireplace. 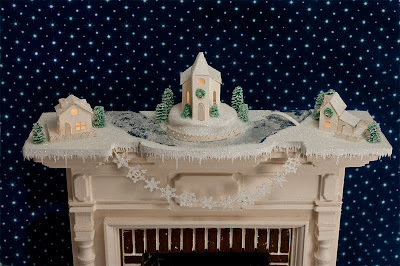 Make a winterscape on the mantel; add an ice skating pond, trees, and a hill for the church to rise above the village. 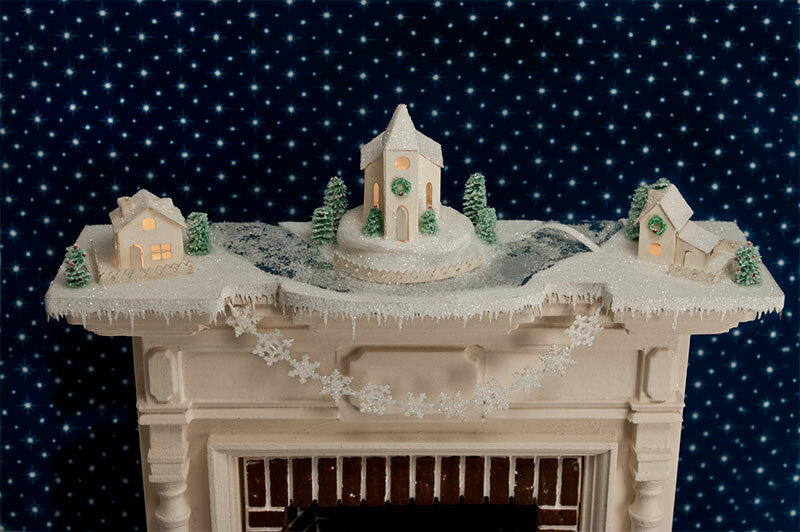 When the LED lights are switched on, the snow sparkles and the houses glow warmly! 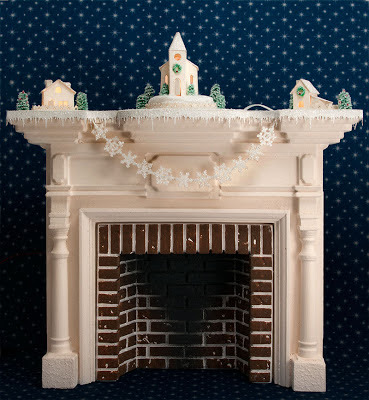 Sparkly icicles and a snowflake garland complete your fireplace decor. Contact Carol for registration info. Hurry, there are only a couple of spaces left! Create and light 3 houses. Winterscape a mantel with an ice skating pond. Mr. T2S and I enjoyed returning to Dallas and seeing the friends that we had made last year. It was the one year anniversary of my miniature teaching career! 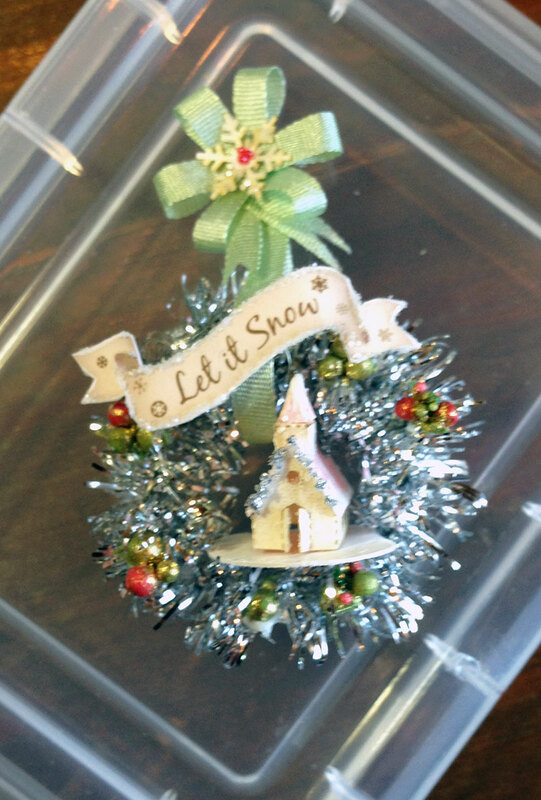 This year, the class made little wreaths with a glitter house inside. The exhibits drew crowds all weekend. These are some talented ladies! A porch scene in quarter scale by Karen Carter. 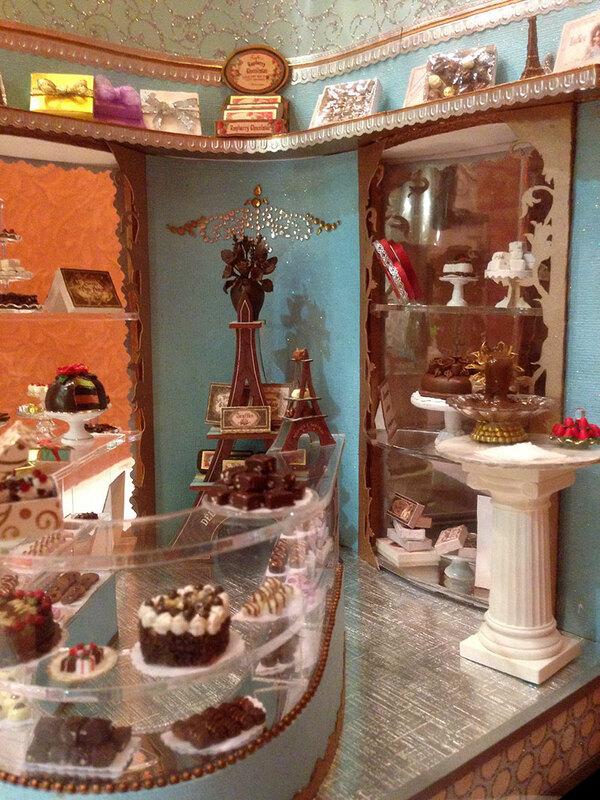 One of the clubs exhibited their chocolate shops. We enjoyed seeing how they incorporated the Eiffel Tower chocolate display kits and the chocolates made from the molds. 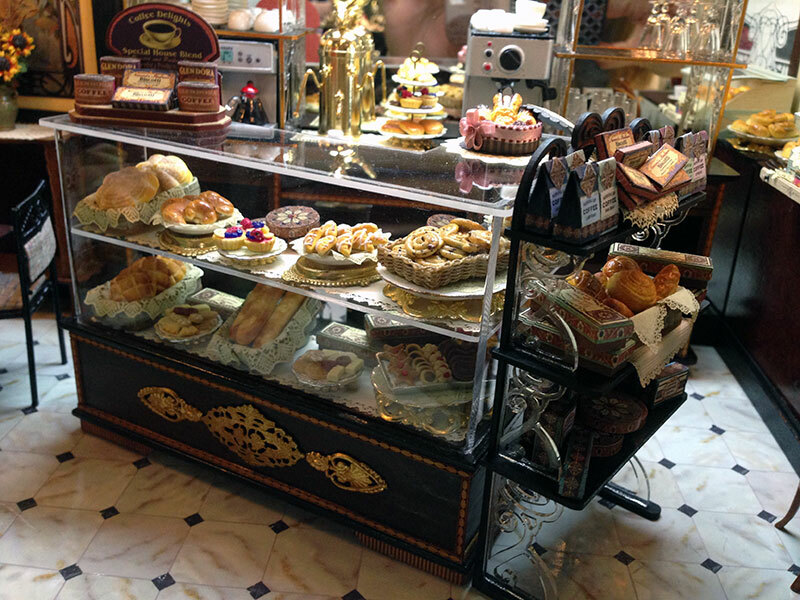 It's a good thing that the scenes were protected by cases because they looked so decadent! Chocolate Shop by Susan Sanchez. The Little Village glitter house kits and icicle shelf edging were incorporated into a cheerful market stall. Market stall by Kendra S.
I met Helen David last year in Dallas. Sadly, she passed away this spring. The remainder of Helen's floral arrangements were being sold by her daughter. Helen was known for creating historically and seasonally accurate floral arrangements. Her legacy will continue as her daughter will make the laser cut flowers available through the website, helendavidflowers.com. 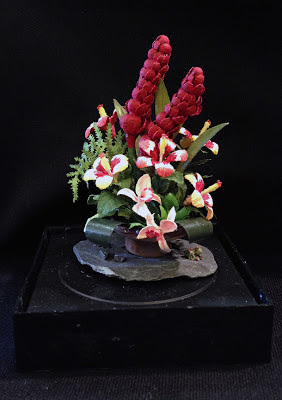 Floral arrangements by Helen David. Lisa Engler (Lisa's Little Things) offered kits and finished items to complete a 1:12 coffee shoppe. It is l-o-v-e-l-y! How can I describe this year's Chicago International Show? 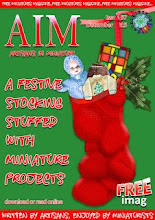 Hmm... an event that brings together so many wonderful people and amazing miniatures in a great setting! Mr. T2S and I were excited to meet new faces and say hello to our mini friends. 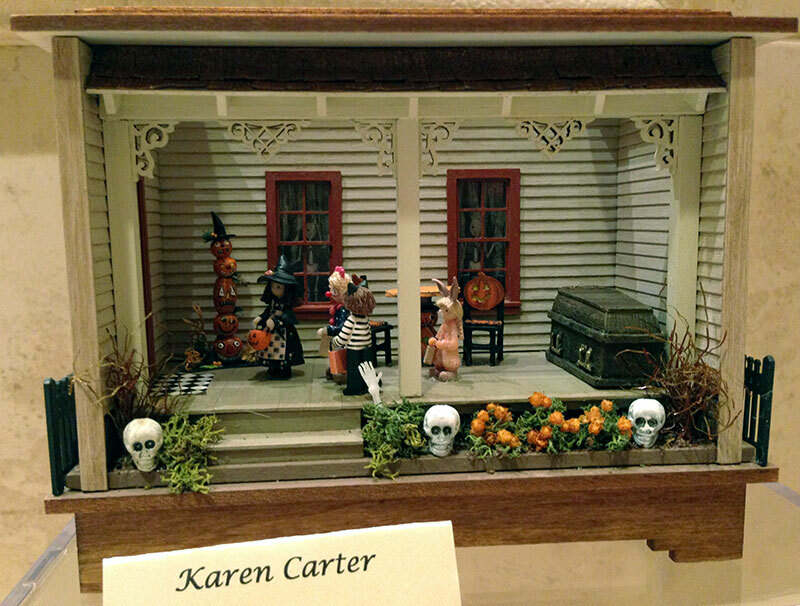 And then there were the miniatures... each artist showing their beautifully crafted pieces in carefully arranged displays. 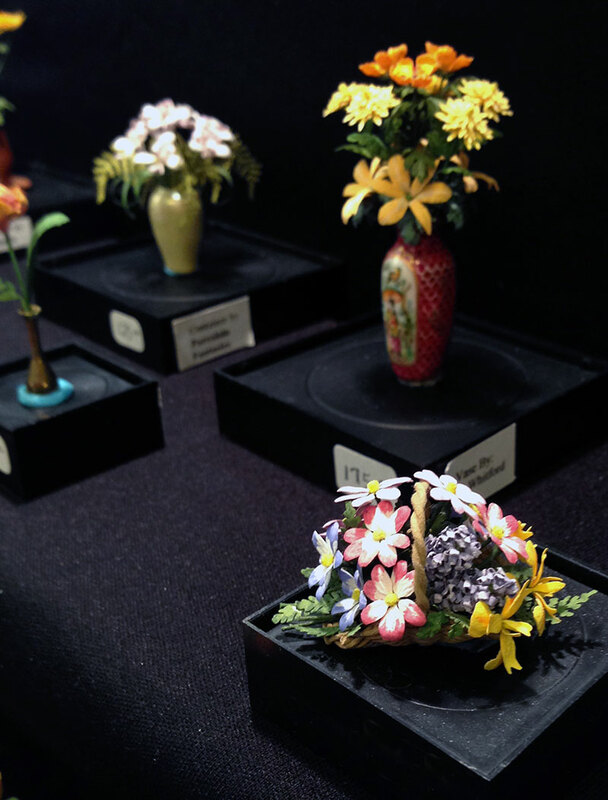 From the finest miniature pieces to the affordable do-it-yourself items; the show offered something for everyone. 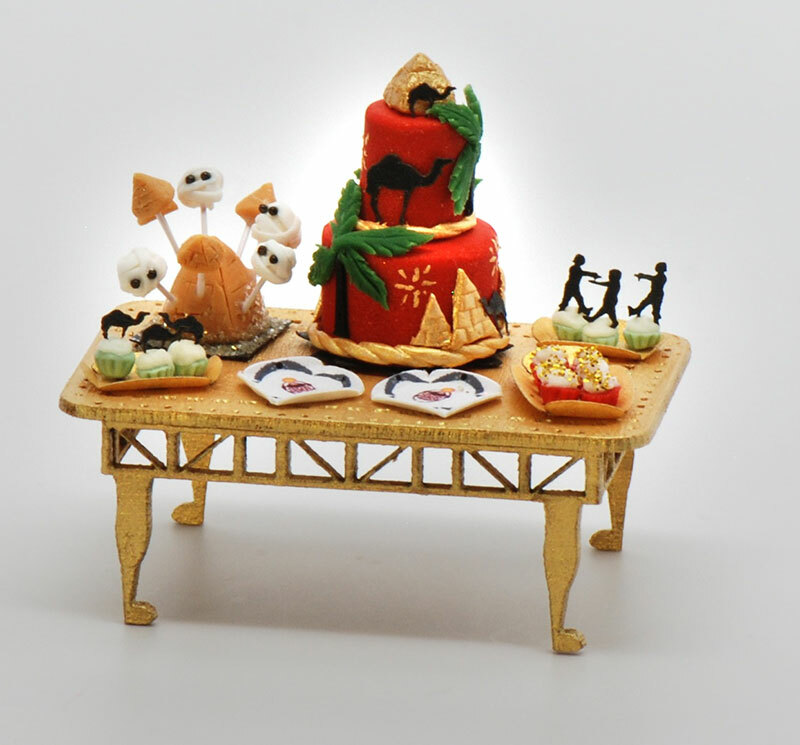 I was awestruck by the work of several artists who incorporated our kits into their pieces. 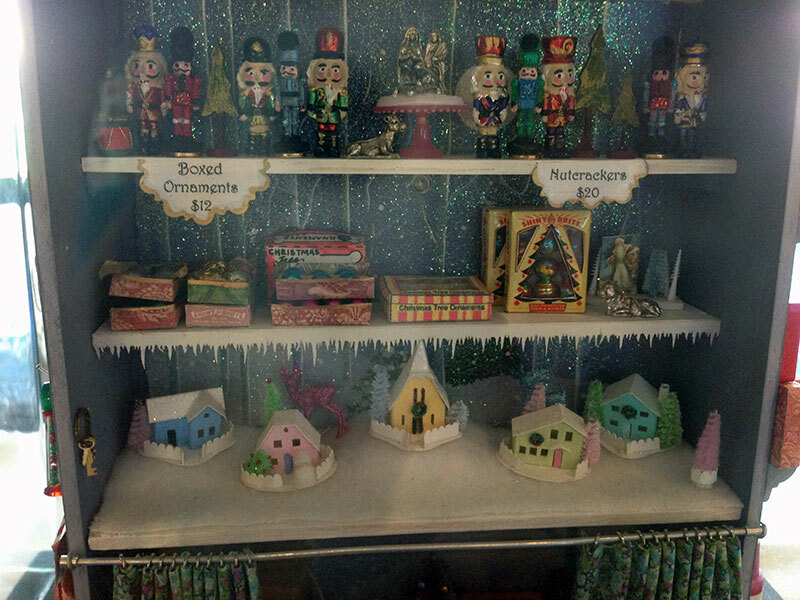 Taller Targioni, from Spain, set our Snow Village glitter houses (1:12 and 1:24 scales) into gorgeous cabinets! Whitledge-Burgess used our Heirloom Roses decals and dishes in their new workshop, A Culinary Classic. I felt truly honored! It was fun to meet so many people and put faces to names. Thank you to everyone who stopped by our table. We hope to see you again next year! 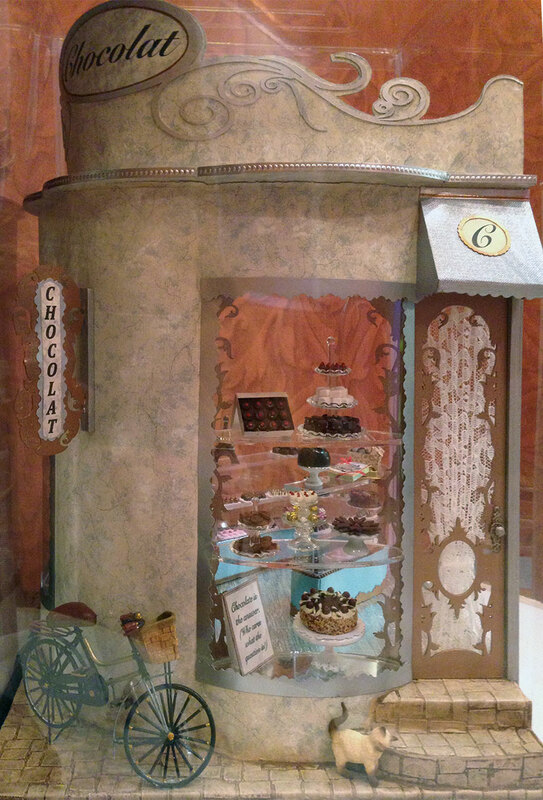 Taller Targioni (Spain) offered this cabinet with the T2S Snow Villages. 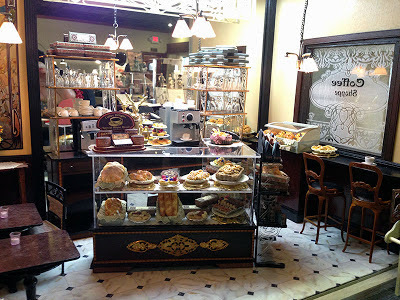 Whitledge-Burgess incorporated the Heirloom Roses decals and dishes into their new workshop. "A Culinary Classic" workshop by Whitledge-Burgess. Mr. T2S oversees the table while I went on a brief photo excursion!